TFCU Talks in Manila host and Myx VJ Ai dela Cruz, ABS-CBN University Head Gabriel Orendain, ABS-CBN Managing Director for Asia Pacific Ailene Averion, Engineer Aisa Mijeno, tech entrepreneur Garrett Gee, Industry Manager Jonathan Joson, ABS-CBN International SEO / SEM Manager Shan Serran and host Migs Bustos at the first international event of TFC’s series of interactive and inspirational discourses. Gauging from the vibe and the reaction of the nearly 200 young Filipinos at the heart of ABS-CBN compound on March 27, one would think that a rock concert was in progress. 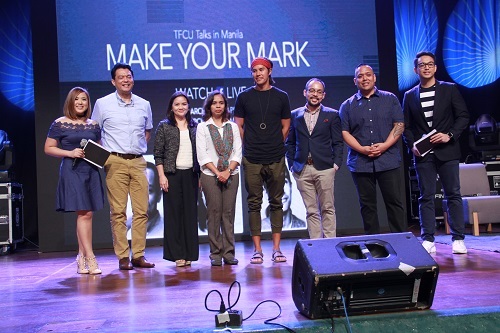 In truth, ABS-CBN University and TFC, ABS-CBN’s global media network, just launched its first Philippine leg for TFCU Talks entitled “Make Your Mark” at the iconic Dolphy Theater in Quezon City. 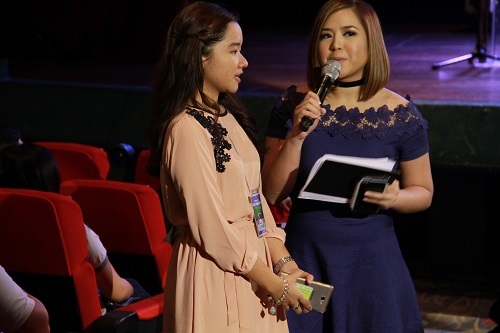 Host and VJ Ai dela Cruz interviews fellow ABS-CBN talent and a young Filipino achiever herself, Gretchen Ho on her own experiences as a college student who was once trying to make a difference. 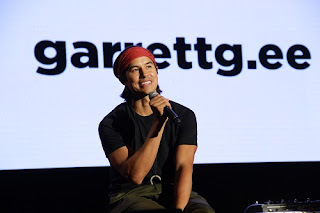 Tech entrepreneur and Discovering Routes star Garrett Gee drew thrills and cheers from the young audience during his own segment at the first TFCU Talks in Manila. This time, TFCU Talks’ first international event brought together three Filipinos who also made their mark at a young age: adventure journalist Garrett Gee, digital marketer Jonathan Joson and computer engineer and innovator Aisa Mijeno. 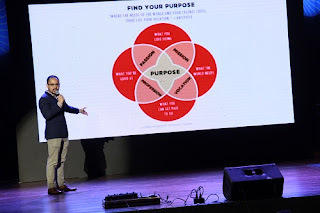 Google Philippines Industry Manager Jonathan Joson shared four key points during his talk: He summed all his valuable life lessons in four tips: 1. (you can) make mistakes; 2. create value; 3. measure everything; and 4. take control. 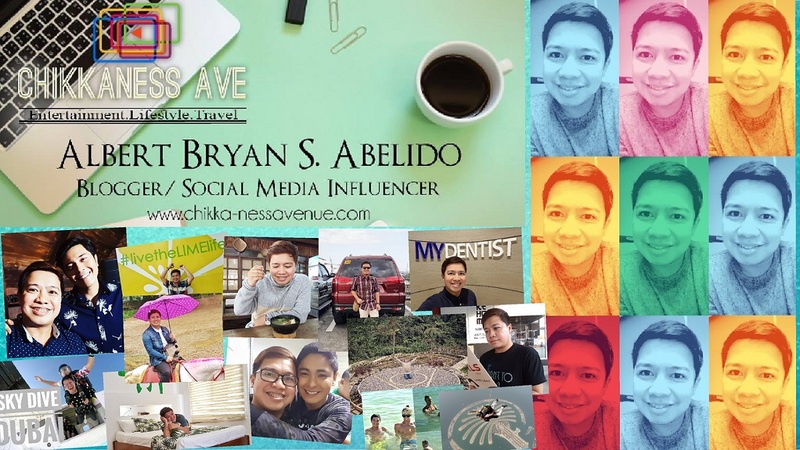 Leading the lineup of remarkable young Filipinos in TFCU Talks in Manila is tech entrepreneur and adventure journalist Gee of the social media sensation, The Bucket List Family. Gee is a Filipino American who created an app and sold it to Snapchat, earning his millions before reaching the age of 30. For the youngest recipient of the Young Market Masters Award (YMMA), Joson stated that young Filipinos and people in general have to set a bar at a certain point and find a mentor. He summed all his valuable life lessons in four tips: 1. make mistakes; 2. create value; 3. measure everything; and 4. take control. 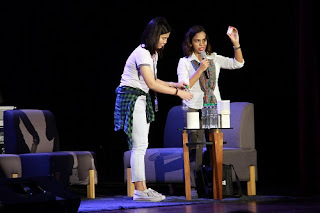 Engineer Aisa Mijeno demonstrates to Centro Escolar University Marketing student Aimee Palma how the Salt Lamp works. Computer engineer and team lead of the inventors of the SALt (Sustainable Alternative Lighting Technology) Lamp, Mijeno, knows too well the responsibility that comes with being female in male-dominated industries. She dispelled myths about succeeding in a male-dominated society and said, “The misconception is pursuing your passion. What you need to learn is what you’re good at. 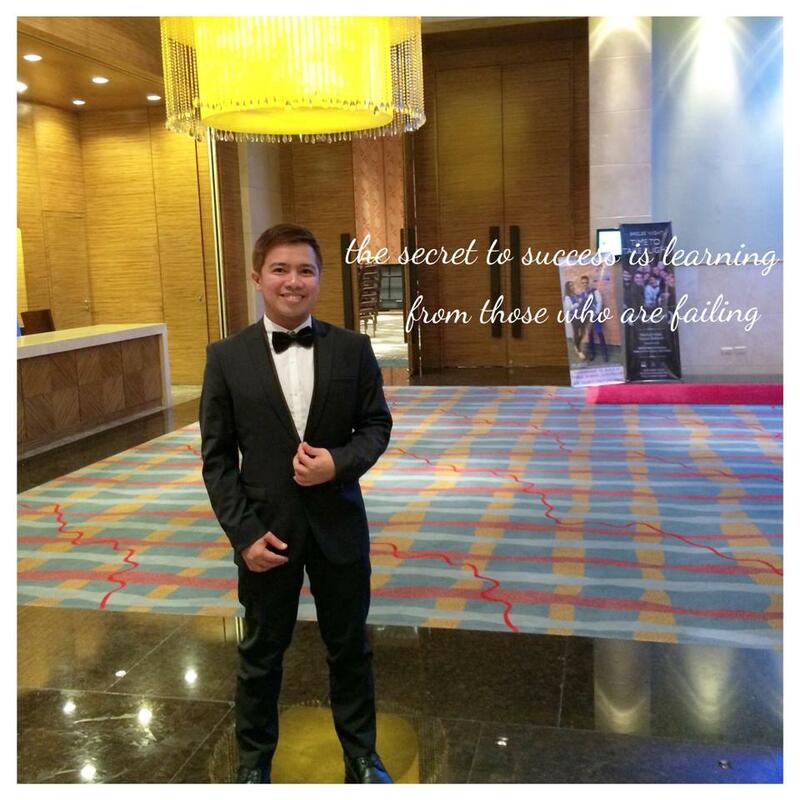 When you’re good at something, you tend to love it.” Mijeno’s passion was recognized by no less than former US President Barrack Obama at the 2016 Asia Pacific Economic Cooperation (APEC) Summit in Manila. ABS-CBN University head Gabriel Orendain assured the young attendees that ABS-CBN officers were once like them, trying to learn the ropes and struggling amidst challenges before arriving at this point in their lives. ABS-CBN Global COO Raffy Lopez, ABS-CBN Asia Pacific Managing Director Ailene Averion along with other ABS-CBN executives and guests listen intently to Gee as he talks about his passion project at the first TFCU Talks in Manila. 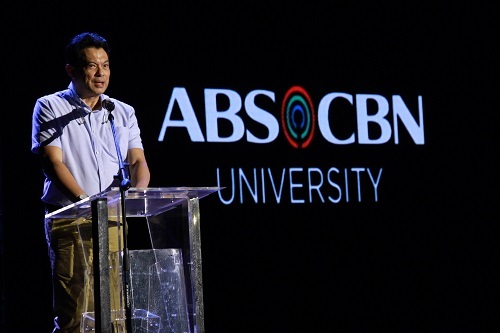 Also in attendance were key officers ABS-CBN President and Chief Executive Officer (CEO) Carlo Katigbak, ABS-CBN Global Ltd. Chief Operating Officer Raffy Lopez and ABS-CBN Head of Integrated Marketing Nandy Villar. 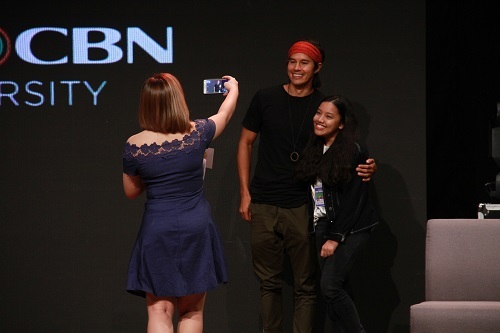 Taking the cue from the talks on how to pursue one’s passion early on, St. Dominique College of Asia’s Alyssa dela Pena asks for a photo opportunity and a hug from Garrett Gee who gamely consented while host Ai dela Cruz played photographer. TFCU Talks in Manila brought inspiration to college and post-graduate students, some elected by their universities and colleges, as well as administrative officers, faculty members, student organization representatives and publications staff of the Philippines’ Top 100 schools (http://www.4icu.org/ph) such as Ateneo de Manila University, CEU, Philippine Women’s University, University of Asia and the Pacific, University of the East, and University of the Philippines in Diliman. CEU Communications student Harold Singzon throws a question which VJ Ai dela Cruz shares with the three speakers, Gee, Joson and Mijeno. 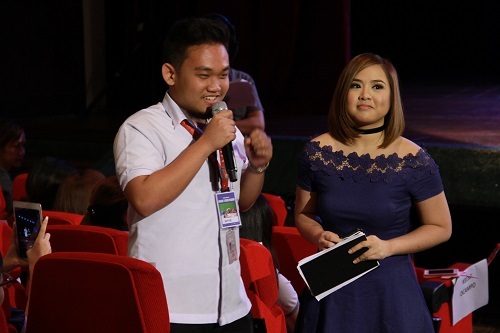 Also in attendance are selected high-performing students from the Eugenio Lopez Jr. Center for Media Arts Senior High School at St. Dominic College of Asia (SDCOA). 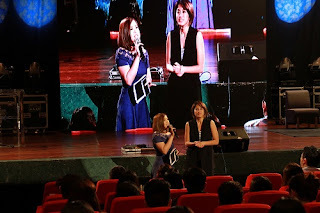 Heeding the advice of the speakers, Alyssa dela Pena of SDCOA followed her heart right there smack at the event and boldly asked for a hug from rock-star speaker Gee who gamely consented. Meantime, Centro Escolar University (CEU) student Airee Palma was lucky enough to be called on stage to try making a SALT lamp herself. Soul Supreme KZ Tandingan and guitarist Mark Anthony Portado cap the show with a well-applauded performance. Providing an equally stirring performance to cap the event was Soul Supreme KZ Tandingan. Watch out for the full version of TFCU Talks in Manila on facebook and TFC digital properties. 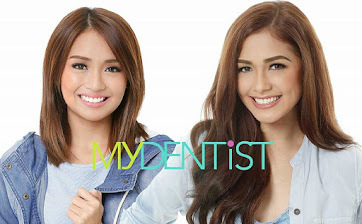 Filipinos in North America can catch the next TFCU Talks on April 22 in Seattle, Washington, U.S.A.
Connect with fellow global Filipinos and visit facebook.com/KapamilyaTFC or follow us on Twitter and IG.